Ever thought about taking up dance as a way to keep fit? Dancing is not only a fantastic way for people get and stay in shape, but has been proven to boost your memory, improve flexibility and reduce stress. One major advantage of hip hop dance is that it’s a full body workout which provides a tremendous impact on your overall flexibility, strength, endurance level, and emotional well-being. 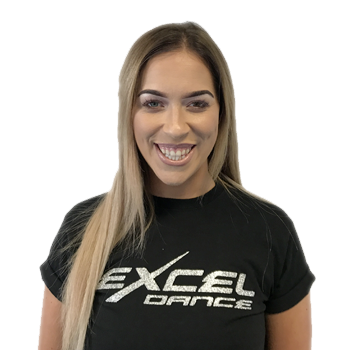 Many Excel Dance goers have looked to dancing as a way to exercise and improve fitness levels and improve sociability. Take a look at our top ten super benefits of Dance. Calorie Burner. Dance increases our bodies’ circulation, helping melt those calories whilst also improving physical confidence and speeding up your metabolism. It is estimated that dance burns anywhere from 5 to 10 calories per minute depending on speed and intensity. Hip hop in particular involves large movements of the entire body, which places it high on the expenditure scale. One main aspect of hip hop is freestyling – this area of dance pushes people to learn more complex routines which train muscles beyond the typical routine they’re used to, keeping muscles guessing and therefore are less likely to stop responding to the exercise or hit a plateau. In 60 minutes, hip hop will use between 370 (for people of lighter body weights) to 610 (for those weighing 180 and up) calories. Mental Stimulation. Dance does wonders in boosting our memory by making us recall steps, routines and dance patterns making it a great mental exercise for our brains. The big benefit is that increasing mental exercise keeps your mind young, quick, alert and open which helps you age gracefully (yes, really!). Studies have found that dancing could boost your memory and prevent you from developing dementia as you age. Further evidence also reveals that aerobic exercise can reverse volume loss in the hippocampus, the part of the brain that controls memory. This part of the brain naturally shrinks during late adulthood, which often leads to weakened memory. Improved Balance. Balance is one of the most important things for athletes and such is the same for dancers. Having a firm centre of gravity to work off helps improve our performance, become stronger and excel in our dancing ability. New to dance? Don’t worry! A new study published in the Journal of Neurophysiology found that years of dance training actually changed how the nervous system coordinated muscles for walking and balancing motions. Balance and coordination can be learned over time through our weekly dance classes, so it’s never too late to take up dance! Dancing also helps improve coordination and helps strengthen our reflexes and is a great way to keep our Central Nervous System and Peripheral Nervous System in great shape by improving connections between our bodies and mind. Improved Flexibility. Those plies and arabesques that ballet dancers practice aren’t just for show — they also increase flexibility and reduce stiffness. One major benefit of increasing your flexibility is the reduction in joint pain and post-exercise aching. Additional benefits include increased coordination, agility and overall flexibility. You may not begin one of our classes as a flexible ballet dancer but the more that you dance, the greater your level of flexibility is going to get. After all dancing is just as much about flexibility as it is about the dance moves themselves. Flexibility also reduces the risk of injury through undergoing any physical activity (not just dance), whether it be a 10k marathon or a spinning class. This flexibility allows you to manoeuvre your body in multiple positions which can help avoid injury. Socially Satisfying. When discussing the benefits of dance, we usually focus on the physical side of things. However, there are additional social and psychological benefits that are often overlooked. Dancing creates a social life for us, while allowing us the opportunity to make new friends. Being socially engaged leads to increased happiness, reduced stress, and a stronger immune system. Increased Energy. Ever found it difficult to get up in a morning? Taking a dance class might help increase your energy levels in the short and long term. Research published in The Scholarly Publishing and Academic Resources Coalition found that a weekly dance program could improve physical performance and increase energy levels among adults. Many dancers have found they had long term increases in energy as fat began to melt, their body adjusted to the dancing. Reduced Stress. If you’re feeling tense or stressed out at home, work or anywhere else for that matter, you might want to throw on your dancing clobber, turn up the music, and hip hop! Several studies have shown that many people have resorted to dance to reduce stress. The scientific reason for why dance has the ability to act as a stress reliever stems from the idea that when the body feels good, the mind does, too and this physical activity releases neurotransmitters and endorphins which serve to alleviate stress. Healthy Heart & Lungs. The great thing about dance is that you don’t need to be super fit – anyone can learn to dance, and can learn at their own pace (just look at Strictly Come Dancing for example!). It has also been proven as a great activity for those at risk for cardiovascular disease and a real winner in improving the condition of your heart and lungs from a very early stage. Evidence supporting this includes a world-first study from two Sydney universities found that people over the age of 40 who take part in dancing almost halve their risk of dying from cardiovascular disease. Stamina. Hip hop improves your cardiovascular, or aerobic, stamina because it moves quickly, requiring oxygen and increasing your heart rate. If you’re struggling to stay the pace in your running exercise, dancing could offer an unexpected form of cross-training, to build up your stamina and muscular resistance. So what are you waiting for? A Happy Self. Finally(and most importantly) dance makes us feel happier - it elevates our mood by raising our endorphin levels which allows us to heal stress and depression. It also helps us establish our self-confidence and self-discipline and improves the harmony between our mind and body, giving us a sense of well-being and increased physical confidence. You experience a much bigger release of endorphins when you dance than during other forms of exercise as this connects with the emotional centres in the brain. For many people, dancing prompts an emotional release which is a healthy way to relieve the stresses of daily life.